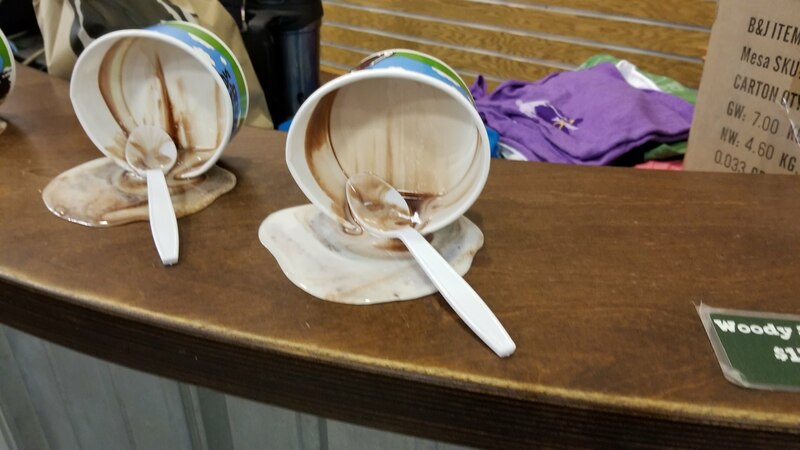 Ben and Jerry’s has their original factory located in Waterbury, Vermont, and is a giant tourist trap, and really not worth visiting unless you happen to be in town already. 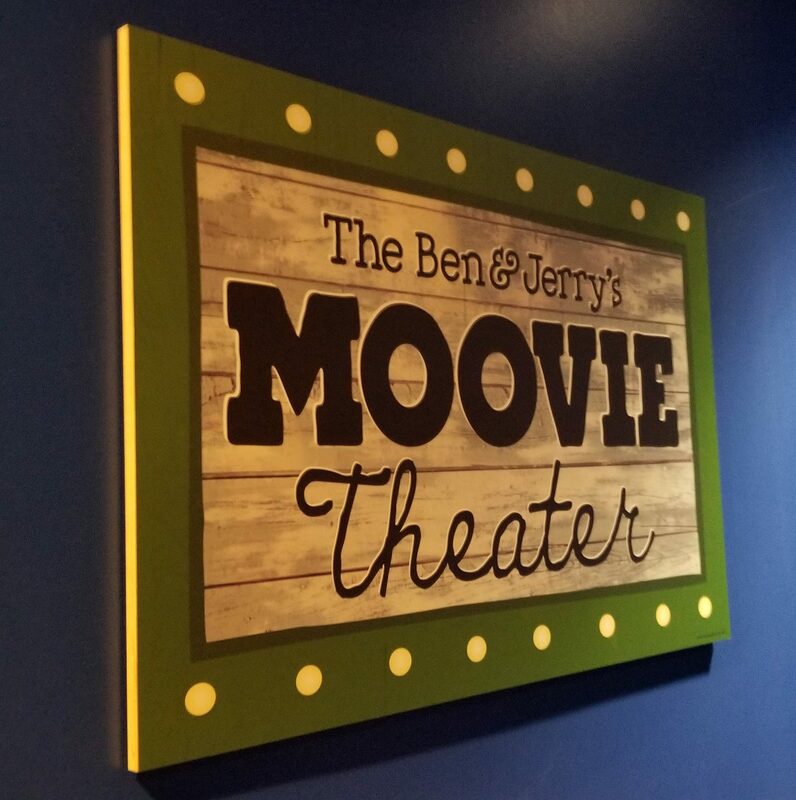 A video in their moovie theater showing how the company was formed and the expansion since. But once that part of the movie is done (about 30% of it so far), they launch into the things Ben and Jerry are passionate about: Liberal politics. And spend the rest of the movie pushing their agendas onto everyone who is now suddenly unwillingly sitting there. You then walk out onto an overlook, from which you can see all the machines that are involved in the ice cream making process (but no pictures allowed on this tour!). These machines do everything from mixing the milk and cream, to blending together flavors, and putting them into their containers, before sealing it all up and sending it out the door. Free tasting. At the end they give you a single scoop free sample of a random flavor, before sending you on your way! 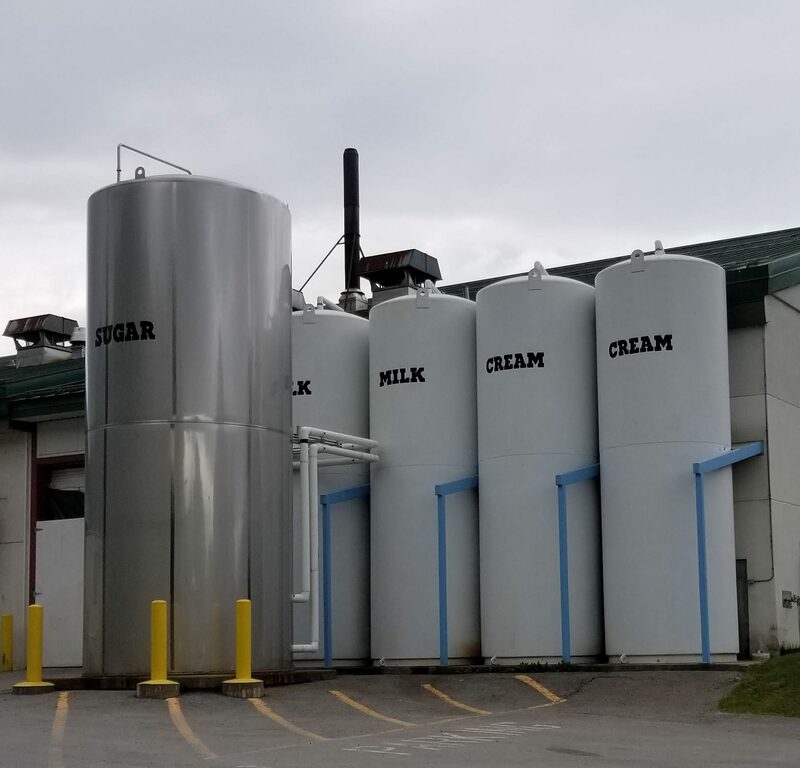 After the tour you can go for a walk behind the building, and see their giant tanks that store the milk, cream, and sugar before they hit the factory floor. The best of ice creams.